Welcome to Rory’s home in Winnipeg, Manitoba. 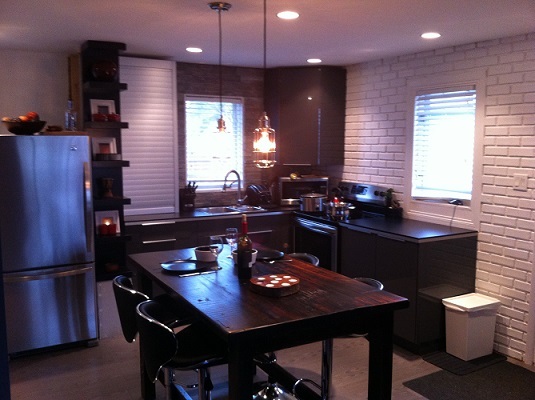 He completely renovated the 800 square foot space on a budget of about $12,000. In his words the interior was ‘awful’ before the remodel. The DIY work that was done by himself, friends and family is incredible, especially considering his small budget (not including 'pizza and beer' labor). Continue reading and be inspired by the transformation. Let’s start with the kitchen, where most of the work was done. 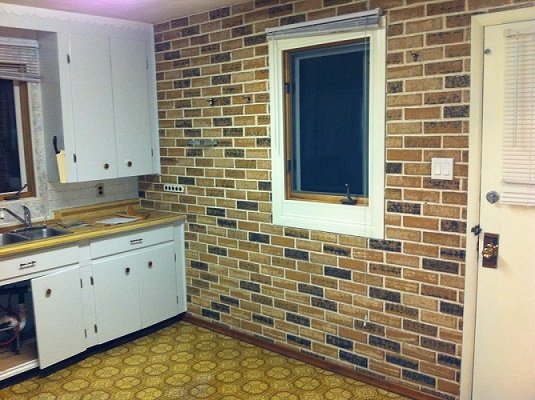 The cost for the kitchen remodel was about $6000. This included buying new appliances, removing a wall and inserting a laminate beam. The walls were given a fresh look by painting the brick white, and an inexpensive stacked slate was used behind the sink. 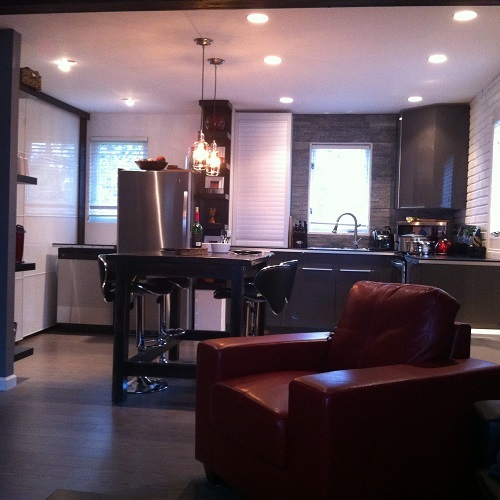 The sink and pantry were not replaced, but were dressed up with new finishes. 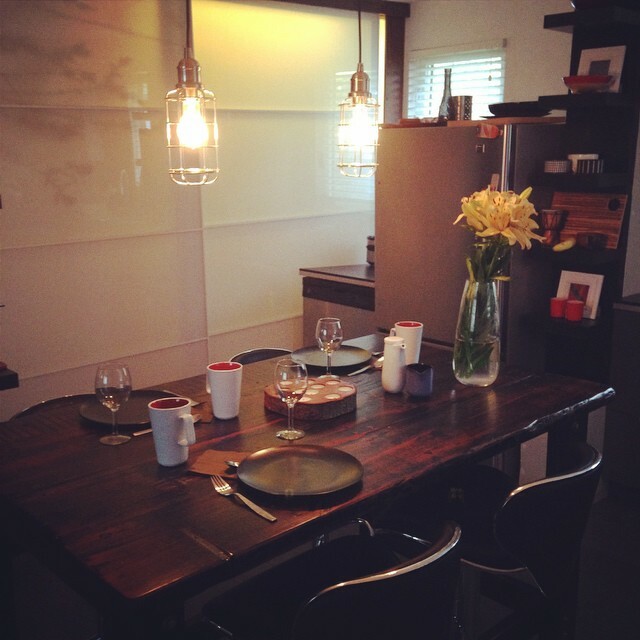 The pendant lights add a great touch and were only about $80 each. The entire counter-top was about $180. The island was a boat wood table top from Indonesia that was burnt and pretty wrecked but they refinished it and added legs. The stools were cheap, $80 or so a piece. 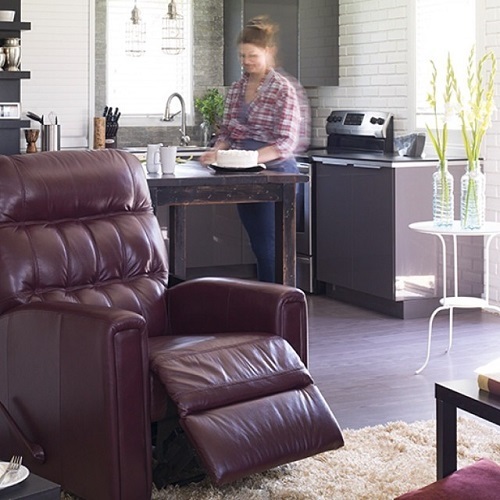 When it comes to renovations on a budget, shopping around is important. Rory was able to get the flooring for 60% off, and the white pantry doors were only $20 (94% off at Ikea). 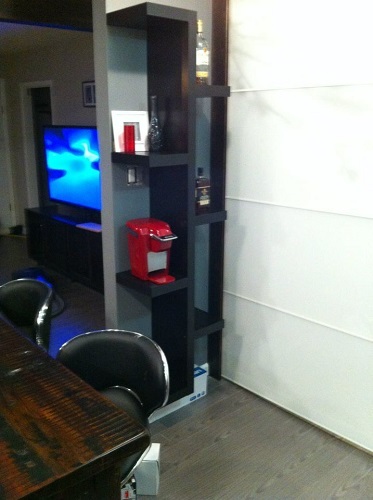 He also got creative and turned a shelf into a bar/coffee station with a great design that is both aesthetically unique and practical. The shelf beside the fridge is the same shelf as the coffee bar/bar on the other side of the kitchen, just built differently. Rory also made some creative bedroom design choices. 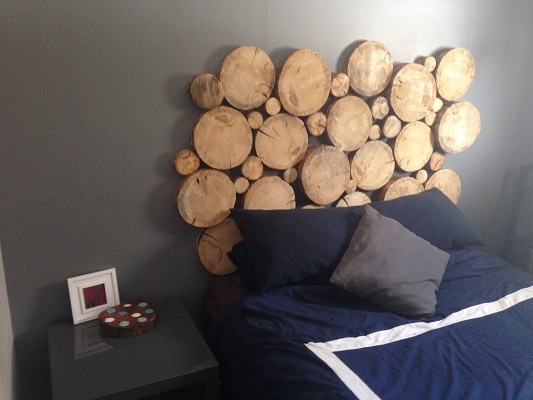 He built the headboard shown below from logs that came from his cabin in Northern Canada. 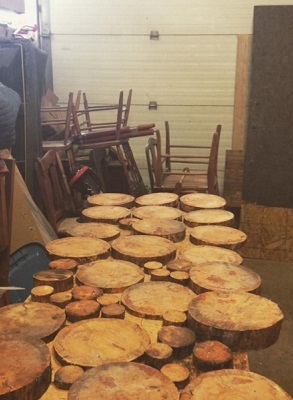 The project was inexpensive, the only costs were some varnish, paint and a piece of plywood for the backing. 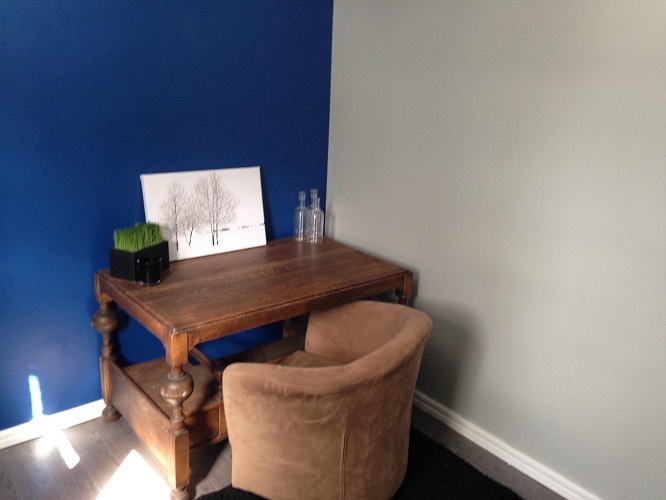 For his office, Rory cleaned up a desk that he got for $100, giving the room a great vintage rustic look. Another $20 was spent on mistint blue paint for the office walls. 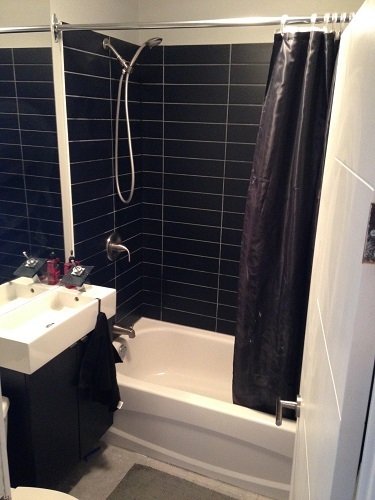 The bathroom also needed to be renovated. It was gutted and redone from scratch and modernized with new materials. 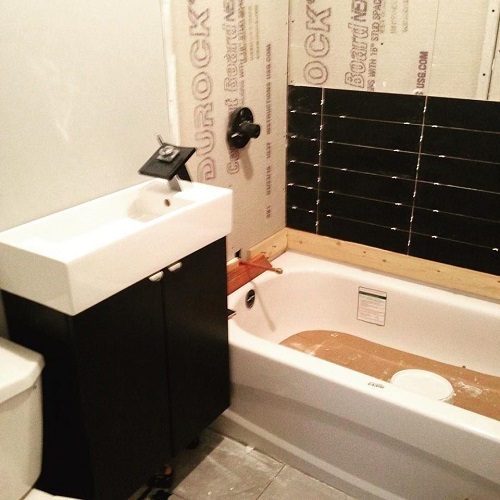 Most amazingly, the whole bathroom was completed with a budget of $1250. 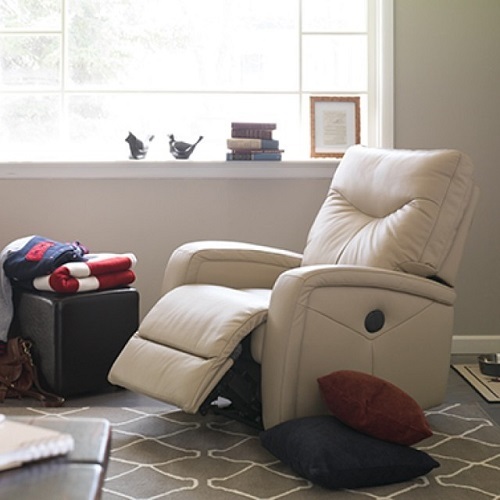 Lastly, no bachelor pad is complete without comfortable and classy furniture. 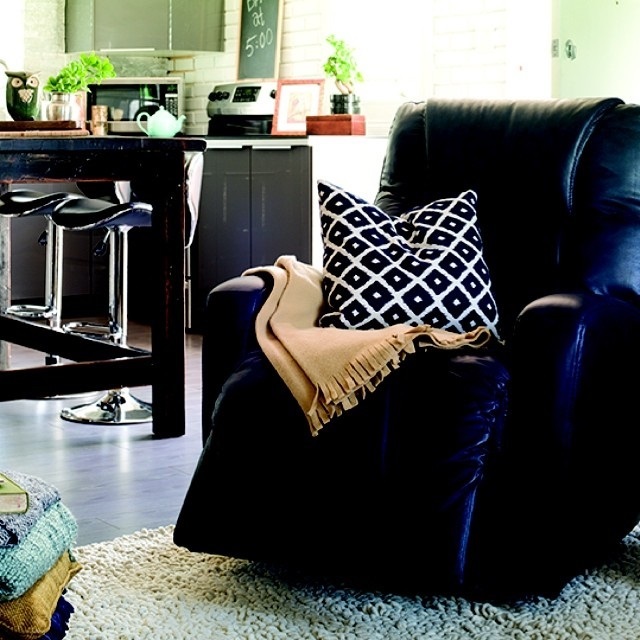 Rory opted for leather chairs, and the different color materials look great throughout the home. And that concludes the tour of Rory’s bachelor pad renovation on a budget. His home should serve as an inspiration and a great example of the incredible work that can be done on a small budget combined with some hard work.